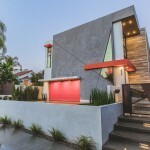 Standard, a Los Angeles based architectural firm, designed the Hidden House, located in the Mount Washington/Glassell Park neighborhood of Los Angeles, California. Originally commissioned to design a new home for a young family who had purchased the site, Standard found a way to maintain as much of the existing structure as possible, both minimizing code complications and the environmental footprint of the project. “Hidden House is the perfect example of how incorporating an existing structure can actually be the key to a successful new design,” explains Jeffrey Allsbrook, Standard Principal and Co-Founder. 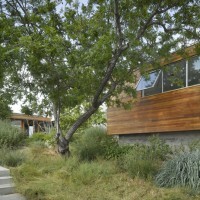 Hidden House is located on a serene 7-acre site (in Glassell Park where the paved road ends at an old hand written sign marking the entrance to “Hidden Valley.”) The property, which can only be accessed via a half-mile unpaved road, offers expansive views of the city but seems a world away from Los Angeles at the same time. Anticipating city restrictions associated with building on a site far removed from the street, Standard opted to keep the structure of the existing two-bedroom house substantially intact. 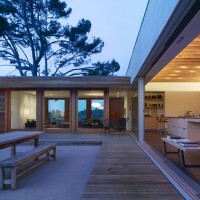 At the same time the architects designed an entirely new home around the original space. Today, the original two-bedroom cottage is incorporated into the house as the living and dining room. Standard added a new kitchen, family room, office, garage, master bedroom suite and kids bedroom, essentially doubling the volume of the house from 1580 sf to 3500 sf. The new house is arranged around two main courtyards. The main living spaces open up onto the interior courtyard, while the exterior courtyard looks out over the city in the distance. The self-contained cubes are arranged around the original footprint in such a way that they make order of the disorder. At a later date, the family may add on additional bedrooms per their original plan. 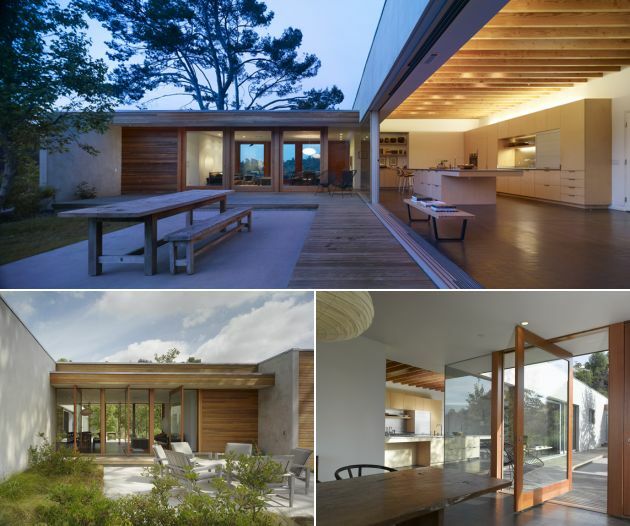 Hidden House also features several sustainable materials and features, ranging from the redwood cladding, to reclaimed endgrain block wood, to the cork flooring in the office, and highly efficient appliances/equipment. The design allows for excellent cross ventilation and day lighting, reducing the need to run forced-air conditioning or heat or energy-consuming electrical lighting. 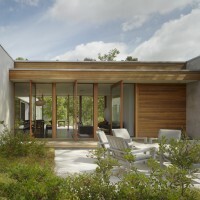 The house is insulated with sustainable cotton and built to be solar-ready. The garden is planted with native landscape and vegetables. 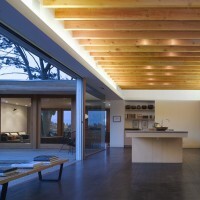 Visit the Standard Architecture/Design website – here.